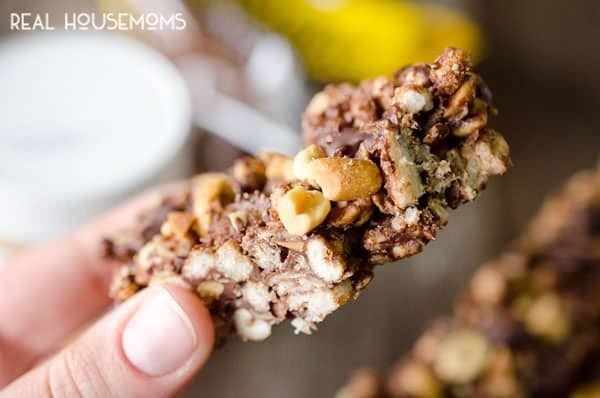 LIGHT CHOCOLATE PEANUT BARS are an easy no-bake treat perfect for getting your chocolate fix while eating healthy with an added boost of protein! Are you looking for a healthy way to satisfy your chocolate craving? If so, I have got you covered with these protein packed Light Chocolate Peanut bars! Simply microwave peanut butter and honey and fold in the peanuts, dark chocolate chips, puffed wheat, ground flax seed and oatmeal. Press the mixture into a loaf pan and chill for 20 minutes. 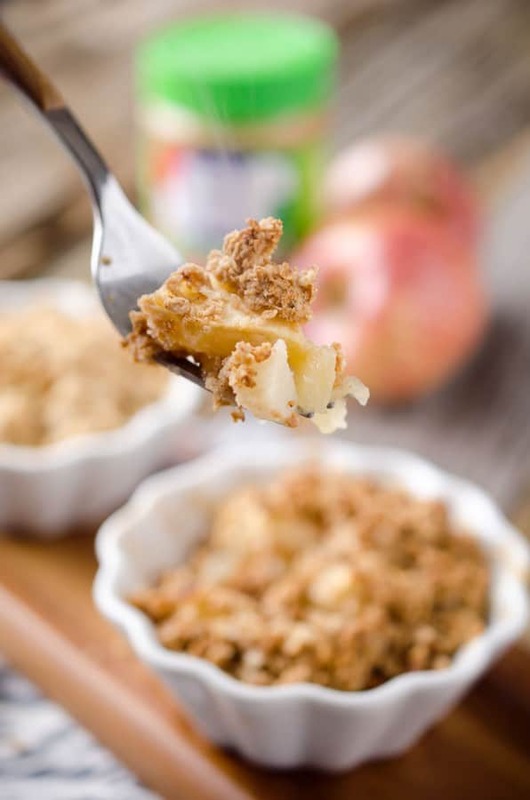 Cut these babies up and enjoy for an easy and delicious no-bake treat! 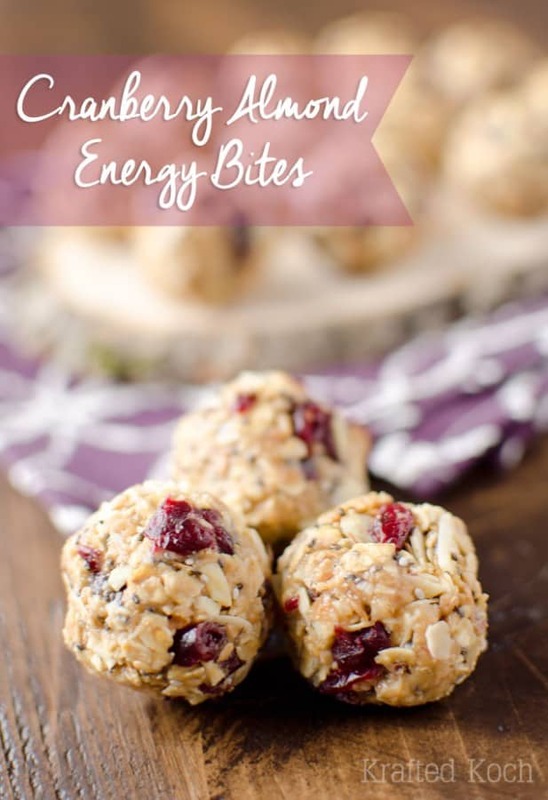 With the new year here, so many of us are looking for healthy snacks recipes. Whether it is swapping soda for carbonated water or candy bars for these Light Chocolate Peanut Bars. Eating healthy doesn’t have to be about deprivation, instead it can be about making smarter choices. The best way to make smarter choices for myself, is by being prepared. 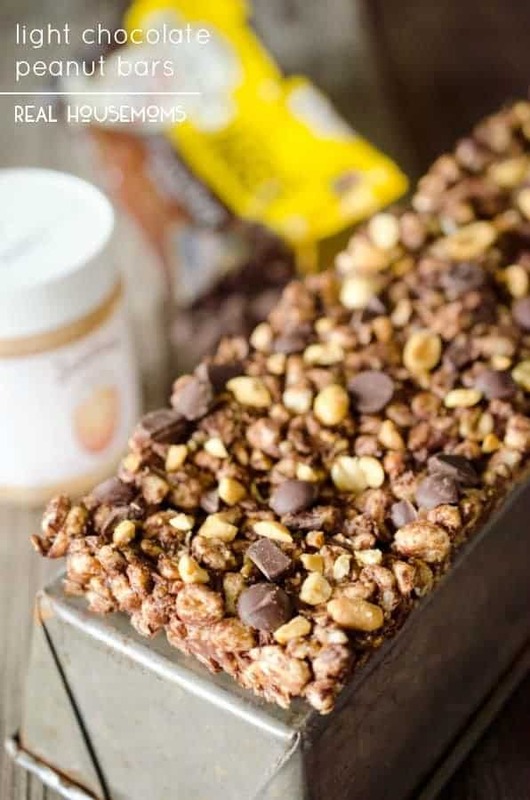 If I have a batch of these bars or some easy energy bites waiting in my fridge when my sweet tooth strikes, I am much more likely to opt for these protein packed treats instead of sugar loaded sweets. So whip up a batch and feel good about your choice the next time you are craving chocolate! In a large microwave safe bowl, microwave the peanut butter, honey and 1/4 c. chocolate chips for 90 seconds, stirring every 30 seconds. Add the flax seed and vanilla and stir the mixture until smooth. Add the puffed wheat and oatmeal and fold everything together until well incorporated. Press the mixture into a large loaf pan or 8"x8" pan and top with the remaining chocolate chips and peanuts. Press everything firmly into the pan and chill for 20 minutes. 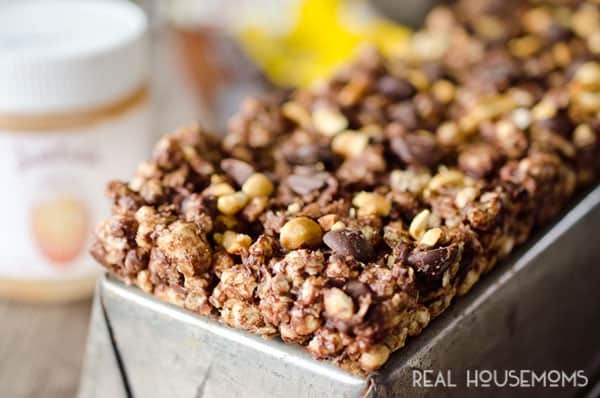 Cut the chilled bars into 8 pieces and store in an airtight container.